Divine products from a divine woman. Danielle Cuccio is a dynamic entrepreneur, esthetician and founder of Cuccio Somatology, a line you need to get your hands on. Learn more about her story and the beauty routines that will inspire you. 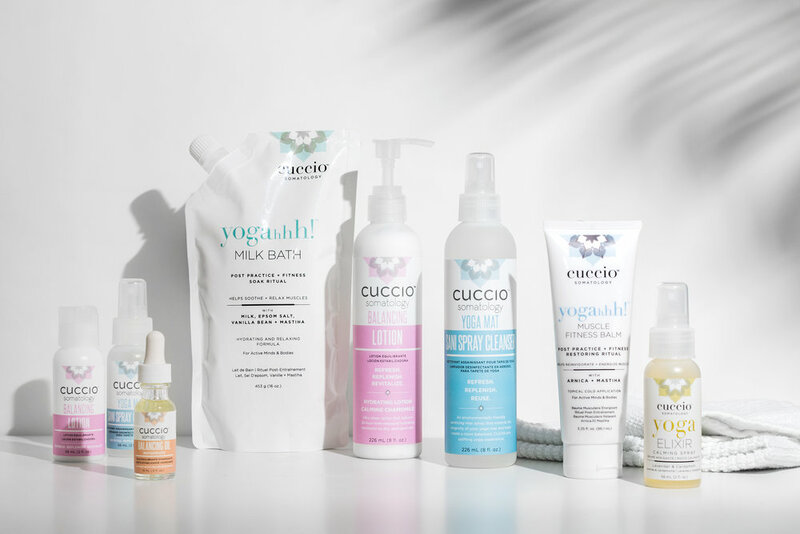 “I realized that my fellow yogis were walking out of classes with a glow that no facial could ever give…” It was merely the foundation of a broader yoga-based business: the Cuccio brand was born out of the relaxing experience she created for her clients. Since 2011, she has been bringing her healthy living tips, yoga exercises and recipes to a much wider audience with her health blog, The Beauty Blender, and she also spent around two years liaising with top chemists in California, before launching her business Cuccio Somatology in 2016. Using products that are CLEAN and naturally made that also make me feel good. I also start every single day with a probiotic to get my digestive system in the best shape. I exfoliate my skin 3x a week using a gentle microdermabrasion exfoliant. AND BATHS, I take a bath daily using Cuccio's DETOX BATH or MILK BATHS. We have some big things planned for 2019! We are launching 3 new products that are all natural and different than any other product currently on the market.